Mustang snobs tend to gravitate towards the early 1964-65-66 or 1967-68 Fastback versions for various reasons that escape me at the moment (but are probably rarity, exclusivity, coolness, in that order) but random yokels on the street know one thing about a classic 60s Mustang. The 69 Mach 1 was the coolest. 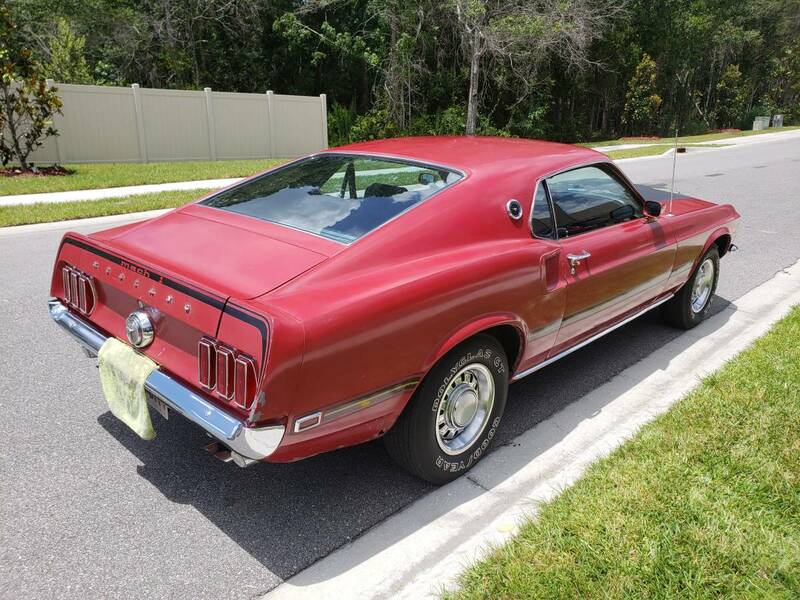 Find this 1969 Ford Mustang Mach 1 offered for $20,000 in Jacksonville, FL via craigslist. Tip from FuelTruck. Finding a 69 Mach 1 with an asking price under $20k is either a really good deal or a total basket case -- so scrutinize this one carefully with your friendly car restoration expert before plunking down cash. It'll need at LEAST all new fenders, 1/4 panels, hood, and possibly much more...but thankfully you can buy a new version of every piece of 69 body from the guys at dynacorn. 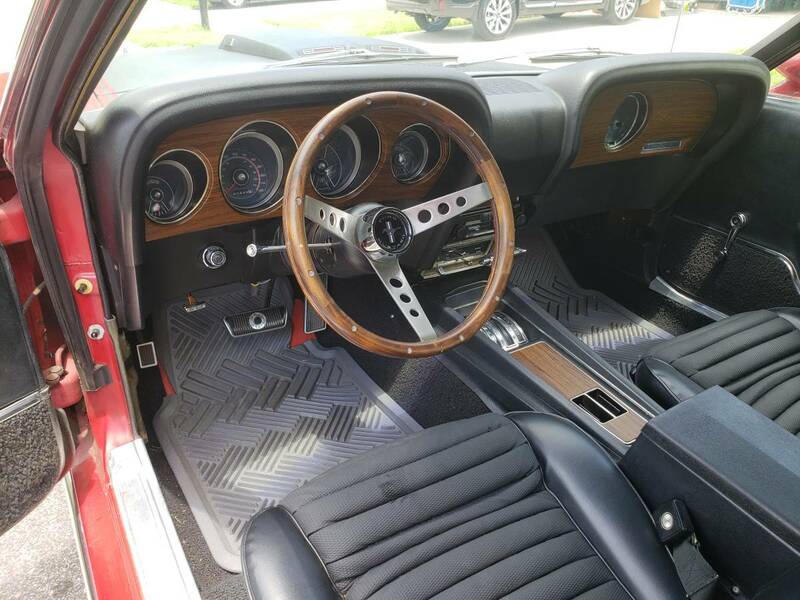 Just about every other part for a 69 Mustang is available from various online retailers, so at least you won't be custom fabricating parts like you are restoring a 62 Saab or something. I purchased this car from a guy in Rockford, IL who had purchased it from the original owner just months prior. He never titled it so I am the 2nd title owner. I bought it with the intention of resorting it, but shortly after getting the vehicle I accepted a new job that has taken me from Chicago to Orlando to Philadelphia, and now to Jacksonville. I just don't have the time to invest into the car and decided it's best to sell. 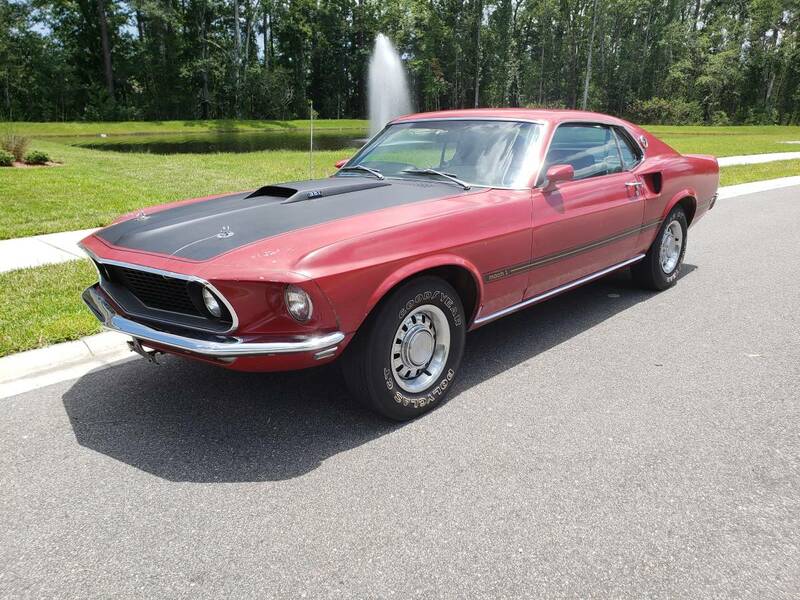 1969 Ford Mustang Mach 1 SportsRoof. 63,649 original miles. M-code 351 4V V8. 9" read end with 3.25:1 gear. FMX Automatic. Candy apple Red w/ Flat Back Hood and Deluxe Interior. Fold down rear seat. Car runs great. Has some rust as expected. Message me for more details or a showing. Asking $20,000. I have a clean Illinois Title in hand. Probably floors to go along with the quarters and fenders. Bummer. There were no '1964' Mustangs. The early ones were all 1965 models per VIN and title.